New Tehri - The newly built well planned modern town nestles at a height of 1,550 metres overlooking the massive artificial lake and Tehri dam built on the Bhagirathi and Bhilangana river. It has taken over as district headquarters of Tehri Garhwal from the Old Tehri town and was established to rehabilitate the Old Tehri, which will be submerged into the waters of the Tehri Dam. In fact New Tehri is considered to be Asia's most comprehensive and successful rehabilitation programme. The gleaming township has developed into a lovely hill resort. 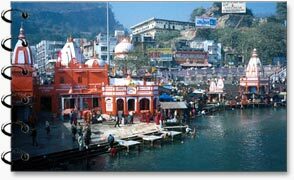 It is 16 kms from New Tehri and 84 kms from Rishikesh on the confluence of Bhagirathi and Bhilangana rivers. This transit point to Yamunotri, Gangotri, Kedarnath and Badrinath was chosen as the capital of Tehri Garhwal by Raja Sudarshan Shah after the expulsion of the Gurkhas with the help of the East India Company in 1815. The town is studded with historical buildings and temples. Tehri Dam : Tehri Dam is the tallest dam in Asia and the fourth tallest rockfill dam in the world sprawling over an area of 45 sq. kms in the Bhagirathi and Bhilangana valleys near Tehri town. It is expected to produce 2400 MW of electricity, provide irrigation and drinking water. But, the dam is being opposed by scientists and environmentalists, as it is considered to be an environmental catastrophe. Opponents of the project argue that this mamooth project is destined to be a failure. Surkhanda Devi Temple: The sacred shrine atop a mountain attracts large number of devotees during the Ganga Dussehra Fair held between May and June. To reach the shrine one has to trek for 2 kms from Kaddulkhal, 22 kms from Chamba. Dhanaulti (24 kms) : This delightful spot enriched with immense natural beauty lies on the Mussoorie Chamba. The lovely weather and scenic surroundings makes it a perfect site for a relaxed holiday. 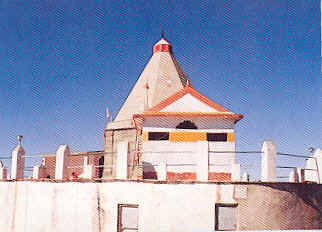 Raghunathji Temple: The shrine is believed to be about 10,000 years. It was destroyed during an earthquake in 1803, and vyas later rebuilt with the support of Daulat Rao Scindia. There are several sacred sites in the town. 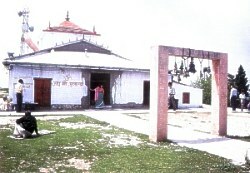 Chandrabadani Devi : The sacred shrine on Chandrabadani mountain is 10 kms from Kandi Khal, about 22 km. from Devprayag. Legends suggest that the torso of Goddess Sati, the consort of Lord Shiva fell here. There are some old statues and lots of iron trishuls (tridents) outside the temple. A fine view of the Sirkanda, Kedarnath and Badrinath peaks can be enjoyed from here. Nagtibba : Nagtibba at an. altitude of 3,048 metres is a favourite destination for trekking and adventure sports. The thickly wooded region is noted for natural beauty. The view of lofty peaks, Mussoorie, Doon Valley and surrounding areas is truly enchanting. Pantwari, the base camp can be reached by bus from Mussoorie or Vikas Nagar. From Pantwari one has to trek for 8 kms amidst. dense forests. Other route is via Thatyur, which is connected by road to Mussoorie and Chamba. 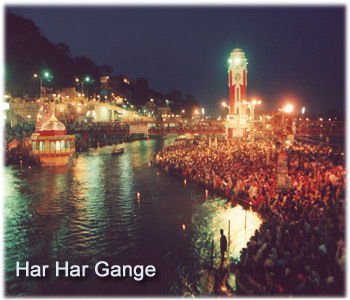 Narendra Nagar : This erstwhile capital of Garhwallies on the main Rishikesh - Gangotri Yamunotri route. It affords a fine view of the Ganga and delightful Doon Valley. The sun set view from here is spectacular. Kaudiyala : The beautiful spot 37 kms from Rishikesh on the Rishikesh-Badrinath highway is ideally suited for white water rafting. 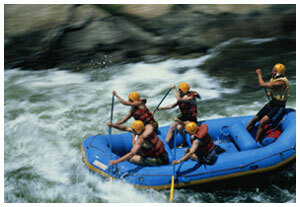 GMVN conducts river rafting courses here. Khatling Glacier : The glacier amidst snowy peaks is the source of river Bhilangna and a popular trekking destination. The picturesque trek starts from Ghuttu, about 62 kms from Tehri. 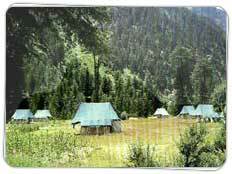 Khatling Trekking Route: Base Camp Ghuttu. By Road: Tehri is well connected by road with major towns of the area.